Adapting utilities to be resilient to climate impacts, from extreme storm events to heatwaves, poses significant challenges and opportunities for providers and communities. Hurricane Maria devastated Puerto Rico in 2017 and resulted in the longest blackout in U.S. History. 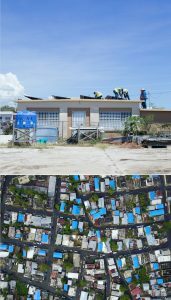 The Forum welcomes Malu Blázquez Arsuaga, the Executive Director of the Resilient Puerto Rico Advisory Commission, and speakers from Resilient Power Puerto Rico to discuss lessons learned from Hurricane Maria and rebuilding resilient utility infrastructure. We will then turn our focus to local climate impacts and hear what steps are being taken for regional utility resilience. Local utility providers and communities will discuss on-going projects and challenges for climate adaptation in New England.